A holiday favorite for the whole family, this years performance of the Moscow Ballet’s Nutcracker is sure to glitter more than a Christmas bauble and is being presented at the Port Theatre in Nanaimo on Monday, Nov. 21 at 7:30 p.m. The 19th annual North American Great Russian Nutcracker tour of the Moscow Ballet promises to relive the magic of the joyful classic with all new costumes hand crafted in Russia. Moscow Ballet’s Great Russian Nutcracker is a Christmas tradition and visual feast overflowing with 40 beautiful Russian dancers and set to Tchaikovsky’s famous music. The holiday favorite features the internationally renowned Russian company, 200 lavish costumes, larger-than-life puppets and nine, hand-painted backdrops with 3-D effects. 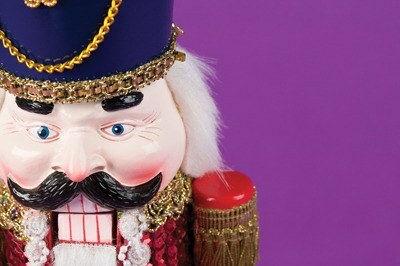 The Nutcracker has enjoyed enormous popularity since the mid-20th century and is now performed by countless ballet companies, primarily during the Christmas season. The classic yuletide tale with its gorgeous Tchaikovsky score has a beloved cast of characters including the Sugar Plum Fairy and toy soldiers. Tickets are available by phone at 250-754-8550 or visit www.porttheatre.com.